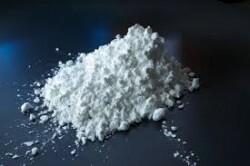 Home › Cocaine Abuse › Am I Addicted to Cocaine? As one of the most powerfully addictive drugs, there are people from one side of the world to the next who struggle with a cocaine addiction. Furthermore, there are those who are unsure of whether or not they need professional help. They have used cocaine in the past, but don’t know if this has caused a problem they need to address at the present time. Making a determination as to whether or not you are addicted to cocaine is easier said than done. However, keep this in mind: it is better to be safe than sorry. If you feel you are addicted, regardless of the reason, it is best to seek professional treatment. This will put your mind and body in a better place. If you find yourself taking more and more of the drug, you may be addicted to Cocaine. You go through withdrawal symptoms if you don’t use cocaine on a regular basis. Your body has gone through changes as the result of your drug use, such as anxiety, nosebleeds, and the decreased need for sleep. The first thing you think about in the morning is when you are going to abuse the drug. You have put others out of your life, such as family and friends, because they don’t support your drug use. You have committed crimes, such as theft, to support your cocaine addiction. You are dealing with a variety of intense psychological symptoms, including but not limited to hallucinations, paranoia, and mood swings. You are taking more of the drug than intended because a lesser amount doesn’t have a strong enough impact on your body. Continued use despite the fact that it is ruining your personal and/or professional life. When you take cocaine you become violent, which may have resulted in trouble with the law. When others discuss your cocaine use, you deny it and tell them that you are going to be fine. Cocaine use can and will transform your mind and body. When you get involved with this drug, it is easy to become addicted. Even if you only experiment one time, it may be enough to lead to a bigger problem down the road. Knowing if you are addicted to cocaine is a start. If you find that you are, the best thing you can do is seek treatment at a professional rehab facility.